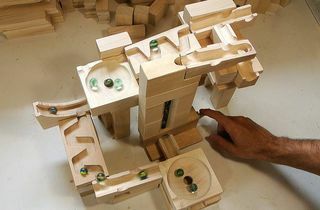 Marble Machines are complicated but useless pieces of toy machinery that automate the process of playing with marbles. This automation could in theory lead to gains in productivity as people are now freed up to pursue more productive goals. 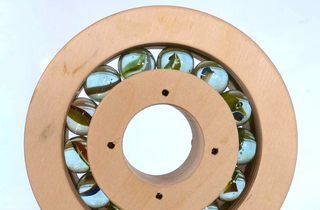 But as it turns out, it's even more fun to watch an automated machine that plays with marbles. 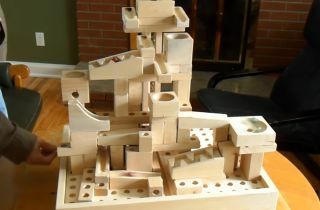 My second wooden marble machine. Very loud. 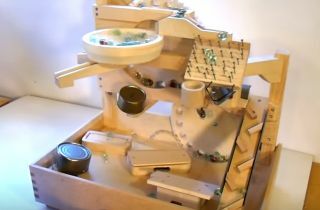 A very complicated and elaborate machine! Motorized, with Lots of gears! a gift for my nephews.